I like to keep my "beauty regimen" as low maintenance and simple as is possible. And after trying- and spending a lot of money 😭😭- a bunch of local and international products, I think I've finally found 2 keepers. This SPF 40 daily face moisturizer doubles as a sunscreen and is super hydrating. You don't even need to apply much- a fingertip of Supergoop is all you need. It's a little greasy- especially if you apply foundation/concealer daily, so I usually dab my face with a cotton ball/tissue paper after. Unfortunately, they don't ship to India yet. But hit up that videsi cousin/friend to carry this back with you! It also lasts about 2 months. Wish Supergoop delivered to India! My only recommended alternative to this is Kiehl's Ultra Facial Cream (which doesn't have any SPF however). It's expensive but worth it. 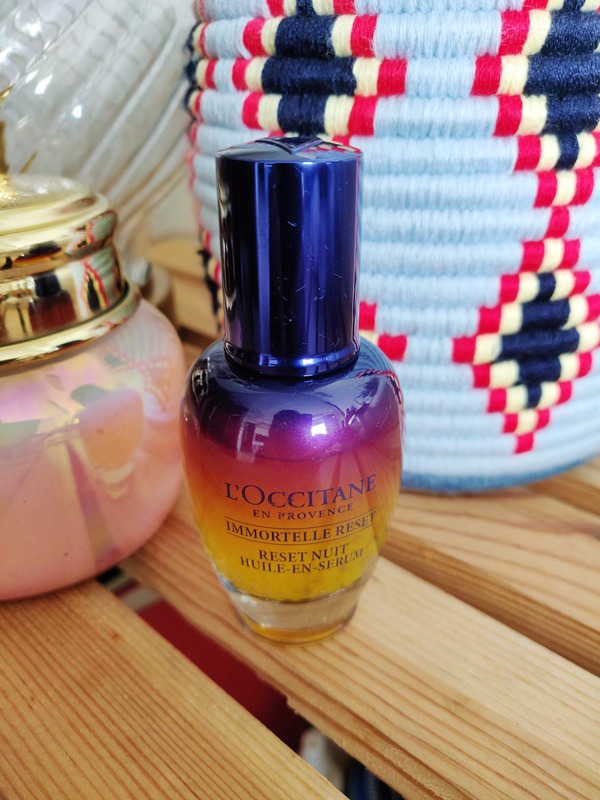 I love love L'Occitane's Reset Serum. I started using this recently and it's fantastic! Super light, hydrating and for application after your night face-wash / cleanse; pump twice on to your palm and apply it all over your face. You can buy this at any L'Occitane store in your city. My skin's pretty sensitive; most other products I've tried have either led to me breaking out or have needed multiple applications over the day- ain't nobody got time for that. These two have delivered results. They are expensive but worth the money.